Manufacturer of a wide range of products which include sublimation paper - sublimation inkjet paper, sublimation ink - high quality sublimation ink, sublimation transfer ink - dye sublimation inkjet ink, dark t shirt transfer paper dark transfer paper, sublimation t shirt transfer paper and light cotton paper cotton transfer paper. 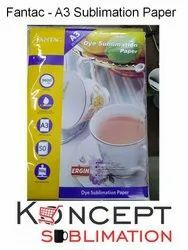 Divided into the category of Quick Dry and Late Dry, we are involved in offering a broad spectrum of Sublimation Paper. Made from best quality of materials, all these papers are offered to clients in different sizes and thicknesses to choose from. These sublimation papers are used for printing through heat transfer process. 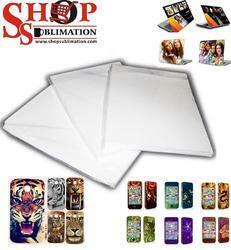 Offered sublimation papers can be availed from us at reasonable price in quality packing within a given time frame. Design Image in any Designing Software. Print on Sublimation Paper with Sublimation Ink and Ink Jet Printer. Place Print Out on Blank Product and stich with Sublimation Tape. Remove Product from Heat Press Machine. Final Printed Product will be Ready. 1. Consistant Color and Density in Cross Batch Ink. Driven by our technical team we at Koncept Sublimation are committed to serve Sublimation Industry with High Quality Products. 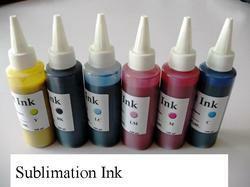 Our Sublimation Ink is One of the best product in Printing Industry. Owing to the high demand of digital textile printing, we have designed this type of ink in optimum quality to print several digital designs and patterns. These sublimation inks are processed by utilization of high grade compounds and pigments, in compliance with set industry norms and guidelines. Applicable on Fabrics and Sublimation Coated Surfaces. Driven by continuous research in Transfer printing Inductry, we are offering an excellent quality Dark Heat Transfer Paper. These heat transfer papers are designed with utmost precision by utilizing best grade material and advanced techniques in adherence with the market standards. Available in different colors, finishes and sizes, this paper is widely utilized for making covers and skins for mobiles, portable music players and laptops. Owing to years of industry experience and knowledge, we have been able to offer a supreme quality Sublimation T Shirt Transfer Paper. 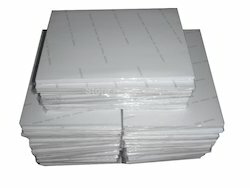 Our provided paper is manufactured with high grade material by our workforce. The given paper is high on demand in the market for its attractive finish. The paper offered by us is obtainable from us in several sizes & other related options so as to fulfill our patron’s demand. Being the most distinguished names in the industry, we offer an extensive collection of Light Cotton Paper that is fabricated with perfection. Our complete product variety is delivered in varied thickness and is long-lasting in nature. Our offered paper is designed at our well-equipped fabrication unit by making use of optimal-quality material as per set industry norms and guidelines. We are offering them in standard as well modified forms. 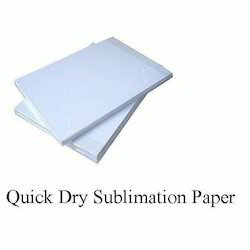 To give our esteemed clients an option to choose from quick dry vs high transfer results, we are offering high quality quick dry sublimation paper. 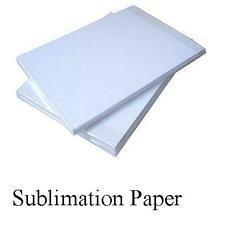 these sublimation paper are mose usable for instant printing like on site printing. 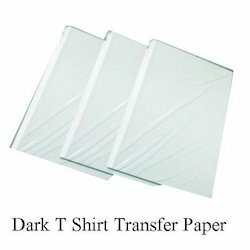 Driven by continuous research in Transfer printing Inductry, we are offering an excellent quality Dark T Shirt Transfer Paper. These heat transfer papers are designed with utmost precision by utilizing best grade material and advanced techniques in adherence with the market standards. 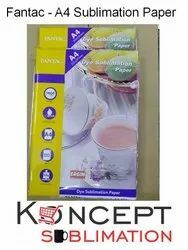 Available in different colors, finishes and sizes, this paper is widely utilized for making covers and skins for mobiles, portable music players and laptops. Now our clients have an options to choose from wise range of Sublimation Transfer Papers. 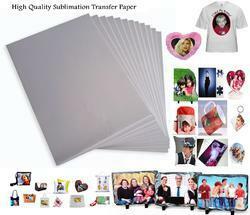 these transfer papers are widely categorized into the category of Quick Dry and Late Dry Sublimation Paper. 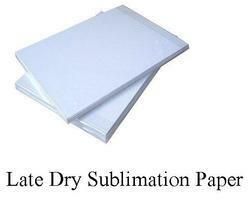 Late Dry Sublimation Paper comes with excellenet features and transfer results. Available in A4, A3 and Roll Sizes. Compaitable to Heat Press and 3D Vacuum Machines. one of our showcase product is our high quality Sublimation Paper. Loaded with lots of features, this product is benchmark in the sublimation industry. Making Sublimation Printing a wonderfull experience, we have added another unility product to our portfolio ' Heat Press Teflon Sheets'. 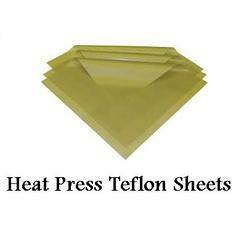 These Sheets are used to increase life of Heat Press Machine and inprove print results. 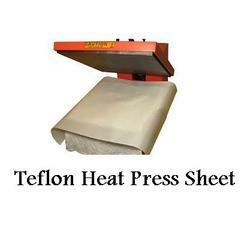 To Increase Life of Heat Press Machines, We proudly announce ourself as leading supplier of Teflon Heat Press Sheet. 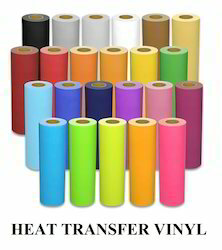 This Product has emerged as Solution to many problems in Transfer Printing Process. 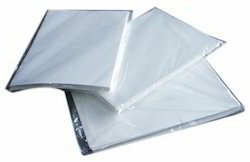 It increase life of Substrate and Print. We at Koncept Sublimation are known for Technology Oriented Innovative Products. 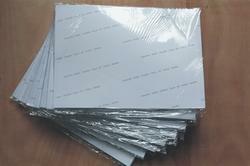 In the same product line we have recently added non tearable ink jet sheets used for Laptop Skins and Mobile Skins. We at Koncept Sublimation, the renouned name in Indian Sublimation Industry are known for best products and service. 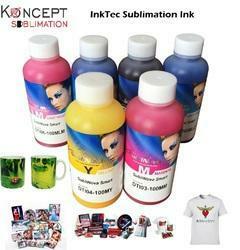 in this series we are supplying high quality sublimation ink known as InkTec Sublimation Ink. Large range of products with fine and life long print quality can be printed with Sublimation Ink. All Plain Fabric Products includingt T Shirts, Cushions, Bed Sheets etc. 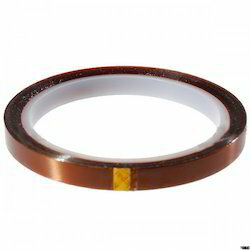 As a noticeable firm, we are involved in offering an inclusive variety of High Temperature Tape. These tapes are fabricated by our skillful professionals using pristine-grade material and cutting-edge technology. 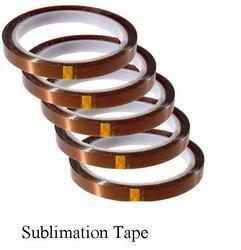 Our tapes are highly well-liked by our patrons for their diverse applications and vital features. In order to meet patrons' fulfillment, we have rationally rated our variety without negotiating with the quality. Being a prominent name in Indian Transfer Printing Industry we at koncept Sublimation are supplier of quality transfer printing products. We recently added Heat Transfer Films, Vinyl and Flock. Elastic Flex Material with slightly Adhesive Carrier. For all Cotton and Polyester Fabrics. Corporate T Shirts Printing Etc. Cut the Design by Plotter. Place Layer of Artwork on T Shirt or other Fabric. Press in Heat Press Machine for Given Time and Temperature. Printed T Shirt will be Ready. 5 in 1 Heat Press Machine, 6 in 1 Heat Press Machine, 8 in 1 Heat Press Machine, 10 in 1 Heat Press Machine, ST3042 3D Sublimation Vacuum Machine, ST420 Sublimation machine, ST210 Dual Mug Heat Press Machine, Single Mug Printing Machine, Epson L130 Sublimation Printer, Epson L805 Sublimation Printer, Epson L1800 Sublimation Inkjet Printer, Cotton Heat Transfer Paper, Dark T Shirt Transfer Paper, A4 Sublimation Paper, A3 Sublimation Paper, Sublimation Ink, T Shirt Heat Transfer Vinyl, T Shirt Heat Transfer Flock, Sublimation Tape (Heat Tape), Button Badge Machine, Blank Badge Row Material, Sublimation Blank Plain White Mugs, 2 Tone (inner Color) Mug, 3 Tone (Inner and Handle Color Mug), Couple (Lovers) Mug, Metallic Golden and Silver Mugs, Hear Shape and Heart Handle Mugs, Black, Red and Blue Patch Mugs, Animal Handle (Kids) Mugs, Ceramic Money Bank, Sublimation Beer Mugs, Sublimation Ceramic Plates, Sublimation Aluminium Sipper Bottles, Thermocol Box for Mug Packing, Sublimation Ceramic Tiles, Sublimation Table Clocks, Wall Clocks, MDF Coasters, Acrylic Coasters, Photo Stands, Sublimation Rock Photo Frames, Sublimation Stones SH Series, Sublimation Glass Photo Frames and Clocks BL Series, Sublimation Card Board Puzzles, Sublimation MDF puzzles, Fridge Magnets, Sublimation Heart and Square Fur Cushions, Sublimation Designer Cushions, Satin Cushions, Velvet Cushions, Smiley Cushions, Magic Mermaid Sequin Cushions, Sublimation Polyester T Shirts, Polycotton T Shirts, Pure Cotton T Shirts, Rice Net T Shirts, Dryfit T Shirts, Black T Shirts, Mouse pads, Table Mats, Mousepad roll, School Bags, Sublimation Trophies, Photo Lamp, Night Lamp, Rotating Pen Stand, Collages and Frames, Submeta Globulite MD Photo Frames, Single and Double Side MDF Keychains, Glass Keychains, Metal Keychains, 2D Mobile Covers, 3D Mobile Covers, Mobile Sticker Sheet, Personalized Printed Sublimation Bed Sheet, Personalized Printed Sublimation Curtains. Looking for Consumables Product ?